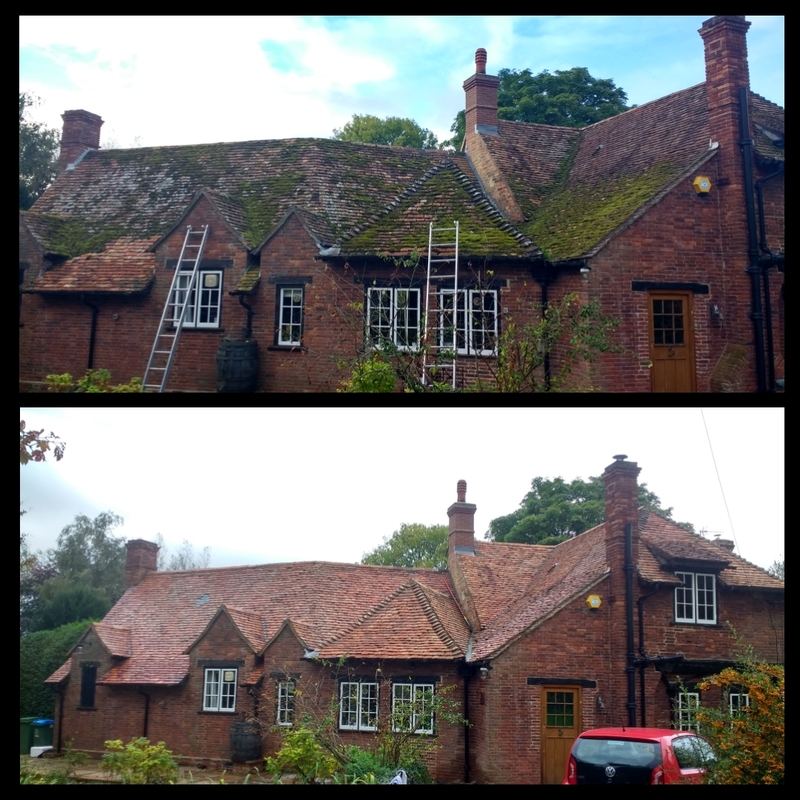 This was a roof clean on an old property built in 1780s, care had to be taken on the roof tiles as they were old and fragile. 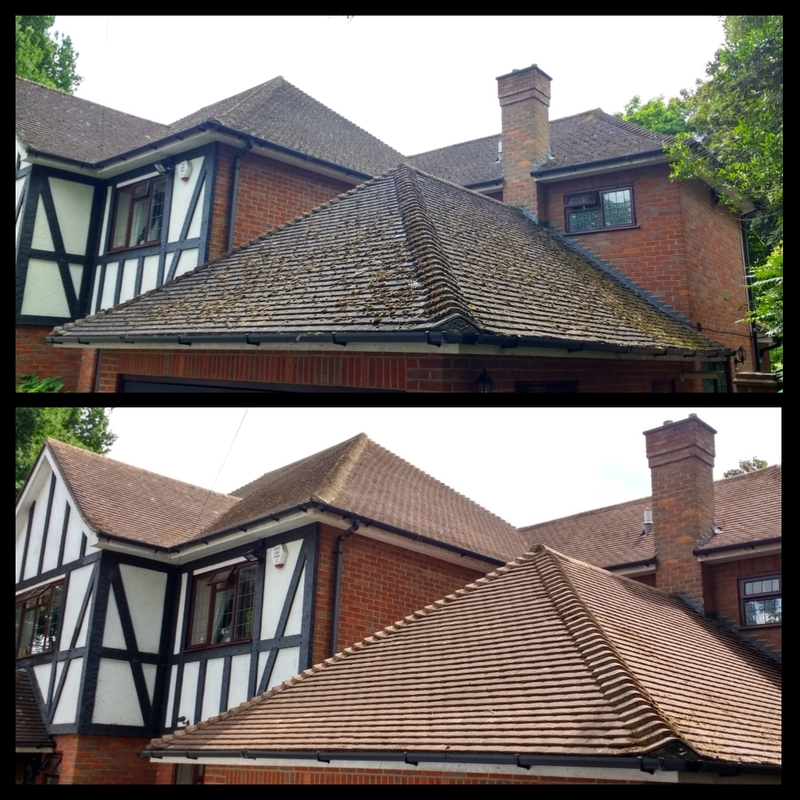 The roof was scraped and treated with a softwash solution. 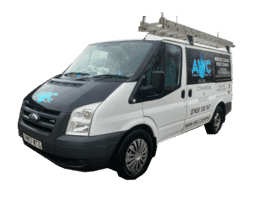 This was a roof clean on an Large property in Greater London, due to the size and height of the roof an access tower was used to gain safe access. 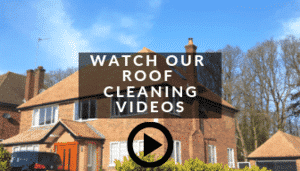 The roof was scraped from moss and the roof was then treated with a softwash solution. 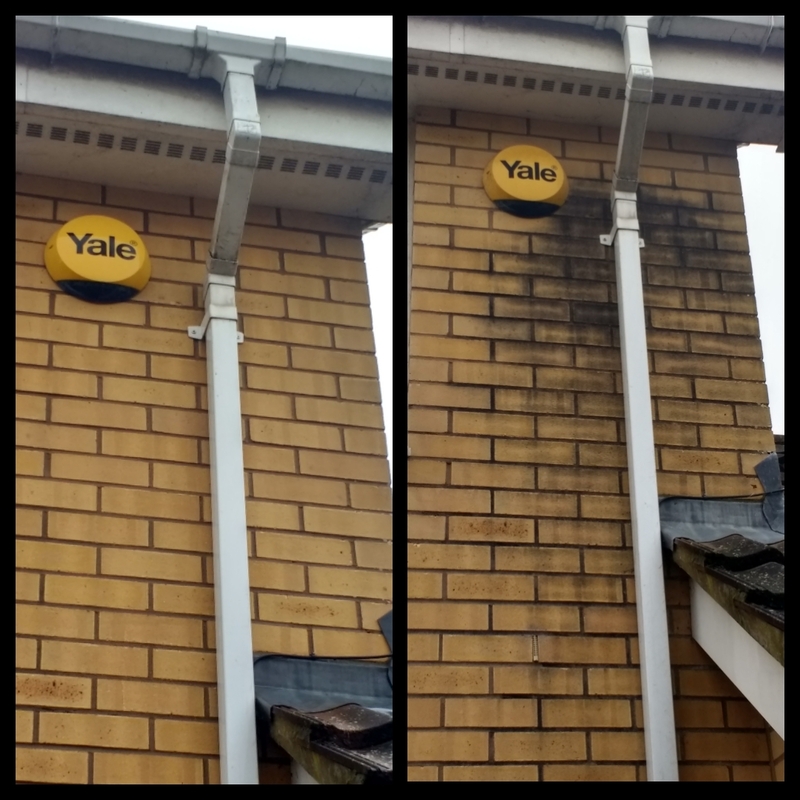 This wall had a small patch of black algae growing, this was caused by a blocked gutter. This was cleaned without the use of pressure washing using a softwash chemical treatement. 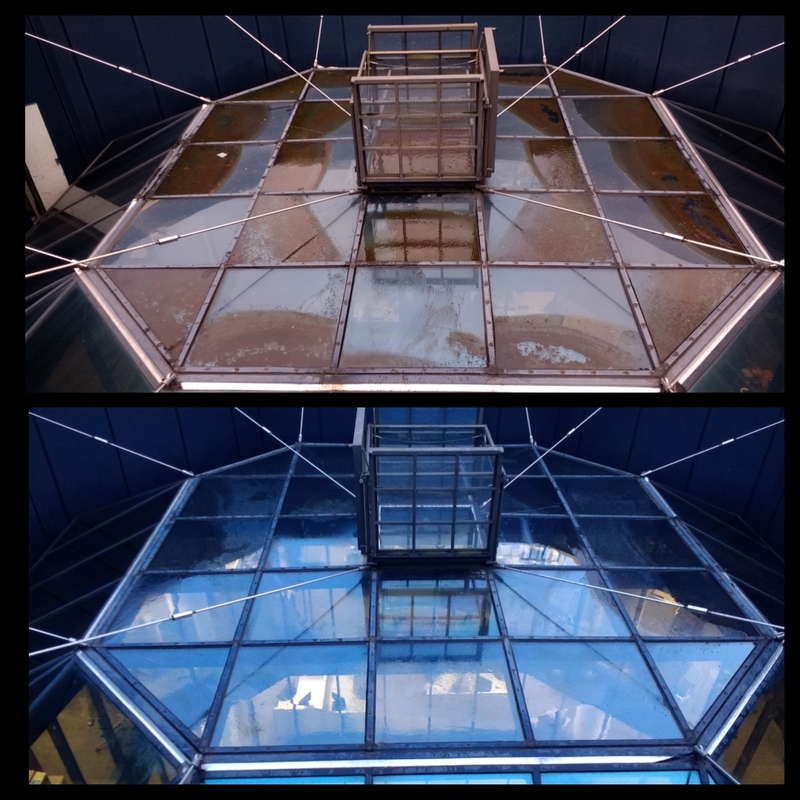 This is the top glass in the atrium of the iconic Blue Leanie office building in Aylesbury, this is a large office building that we have been regularly cleaning for the property managers.